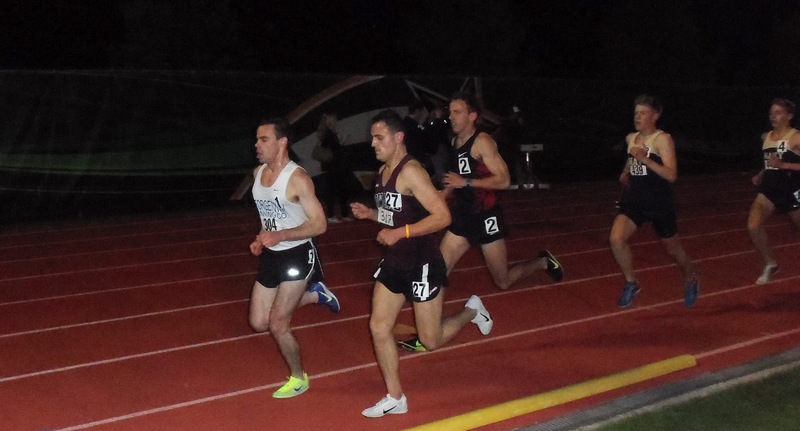 Not to be forgotten, and on two opposite ends of the race distance spectrum, Mike Cotterell ran 2:40:01 at the Eugene Marathon and Chuck Kacsur ran 1:55.38 at Shippensburg in, you guessed it, the 800m run. Cotterell, the second "Boston refugee" to attempt another 'thon, was apparently on 2:35 pace up until 20-21 miles and then...well, then he had 5+ more miles to go. 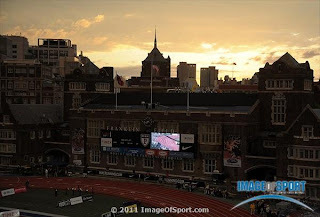 GRC will be sending a contingent of 6 runners to compete in the legendary Penn Relays Distance Carnival on Thursday night. This is by far the largest group of GRC athletes ever to run at Penn, and the first time that GRC has sent women to compete in this prestigious event. It highlights a banner year for the GRC's efforts on the track. Maura Carroll, Ryan Hanson, and Ryan Witters will run the 5000 meters. Hanson ran the 5k last year at Penn, and is looking to improve significantly on his time of 14:41.5. "Ryan is in the best shape of his life," said GRC Coach Jerry Alexander. "He has run well this season at 1500, 3k, and 5k, but he has yet to make the kind of breakthrough his training indicates he’s capable of. This could well be the last 5k of Ryan’s career before he goes to medical school and he’s ready to make it a memorable one." Maura competed in the steeplechase twice at Penn Relays in college, but this will be her first 5k on the big stage. "Maura has made steady progress at 5k this spring, and after her 23 second PR two weeks ago, she’s got the confidence to compete on this level," said Alexander. Witters will be making not only his Penn Relays debut, but also his 5k outdoor debut. "Witty’s training has gone great, and he proved in the fall that he can be successful at this distance. What he lacks in experience he makes up for in toughness and determination." Sam Luff, Dave Burnham, and Drea Garvue will run the 10,000 meters. Sam ran his PR and club record 30:13 at Penn last year, and after pushing the pace on American Record holder Alan Webb two weeks ago in the 5k, he is ready to improve on that performance. "Sam is ready to step up to the next level," Alexander said. "The way his training has been going, the sky is the limit on Thursday." Drea will be making her Penn debut in what has been a breakout season for her. After her stunning 58:50 at Cherry Blossom and her 17 second 5k PR two weeks later, Drea is looking to make a splash at 10k. "Drea has been running great all year, and this event will play to her strengths because she is a rhythm runner. I expect Drea to lock in to a pace, and run a steady, consistent race that will almost surely end with another big PR," said Alexander. The most intriguing story of the night is the return to the track of Dave Burhnam, a man who hates the track with a passion, something he will emphasize with each step. 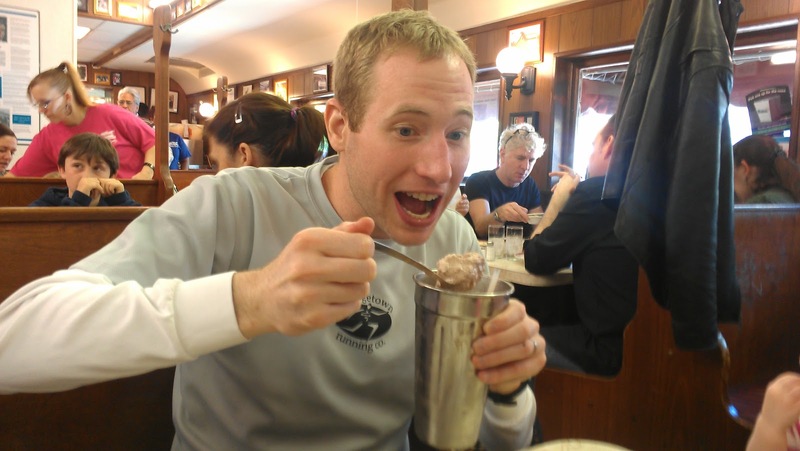 Years ago, he ran 29:41 for 10k, but he has not raced on the track since he graduated from college in 2006. Dave has been training hard in recent months, and while he’s not quite ready to challenge his venerable PR, he will be looking to prove that he’s back in form. "Dave is a great talent, and his return to the track shows that he has rededicated himself to the sport. That bodes well for GRC in the future," Alexander said. Efforts will be made to update the team's Twitter account with splits during the races. Ban - 6th, 53:23 -- almost a minute PR! In Toledo, OH -- Brian "Breezy" Young ran 2:53:01 at the Glass City Mutual Marathon. Brief synopsis: Training had been good over the past 4 months, nothing really special, but lots of longer stuff at 5.10 mile pace (at 7000ft altitude) with short breaks. I knew this could maybe be my final shot at 30 minutes. I knew I could have done it in college, but never ran a 10k then, and as work and life gets busier, you realize how few chances you may get at these things. With a seed time of 30.25, I was right in the middle of the start list, with the fastest seed at 30.10. At our late start time (11.10pm), the weather was on our side: very little wind and 60 degrees. When the gun went off, an Adams State guy opened a gap right away (he went on to win by 15sec). The rest of us followed and settled at laps of 71. Slowly but surely I passed one guy after another. After about 8.55 for 3k, we slowed ever so slightly to just around 15.00 at 5k with maybe 12 of us in the pack. I still felt comfortable. I had told myself to get to 10 laps to go and then take it one at a time. Our pack continued to thin as we rolled along in 72s and 73s. We hit 8k with 7 guys left in our pack at 24.03. I knew with a good last mile, sub 30 was in my reach. At 9k, we were at 27.05 and we were slowing down a bit. Dutch Paul and Tex Paul were at the 200m yelling at me that this was the time!! We hit 600m with 1.44 left, I knew I had to move soon. With the bell lap, we had 67 seconds left. At 300m, I passed four guys coming out of the curve and with a last 200m of about 31, I had just made it: 29.59.04 for 4th. Looking back, I actually wish I had gone for broke at 2k or 1 mile to go, but after 4 years of no track racing, I felt almost inhibited to make a move. Regardless of whether I will ever run a competitive race again, I am happy and grateful for this race and can strongly recommend Mt Sac!! And couldn't have done it without the support of the Paul's! "Local runners all agreed it was a rough time out there. A veteran of 35 marathons, Bain said he did not even consider deferring to next year’s race. 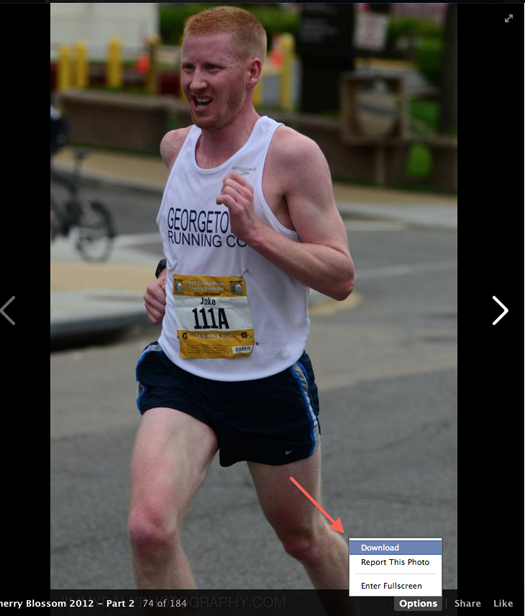 'No, I had a Boston streak to keep alive,' said Bain, a 34-year-old software developer who now has completed 15 consecutive Boston Marathons and runs for the Georgetown Running Company." NOTE - yesterday, I incorrectly identified Bain's Boston streak as 14. Patrick Reaves runs 2:36:22, which is quite good for a man who detests all things heat and humidity. According to tracking, all others have dropped out. Per the heat, Brian Young planned to drop out and will run the Glass City Marathon on Sunday. Pittsburgh, Burlington (VT), Cleveland are other spring 'thon options. At 10:00am EST, a solid contingent of GRC harriers will toe the line in Hopkinton, Massachusetts for a 26.2 mile jaunt towards downtown Boston. That roster includes Dickson Mercer (marathon PR of 2:29), Chris Bain (2:31) and Patrick Murphy (2:36). Will Rawson (2:45ish) heads into the race a little under trained due to an injury. Lavar Curley, Robert Jarrin, Scott Koonce, Patrick Hughes and Brian Young have all run circa 2:48-2:50ish. Weather and temperature have been the subject of conversation amongst analysts, elites, citizen runners and Joe joggers alike. Reports indicate the temperature in Hopkinton at the start will be 71 degrees with 53% humidity. Making conditions even worse is that there doesn't appear to be a cloud in the sky. Temperatures on the asphalt will "feel like" 80-85 degrees by the time racers enter Boston proper. UPDATE: Mike Cotterell has pulled out of the race...not sure whether this is due to the heat or another factor. Cotterell was the top GRC runner (2:37) when weather similarly inhibited runners at Chicago in 2010. Dix, Bain, Murphy all running together now and have "settled" into a sub-6:00 pace. Expat Reaves about 2:00 ahead of our trio at 9.3 miles. As Baystaters would say, the sun is now "wicked". 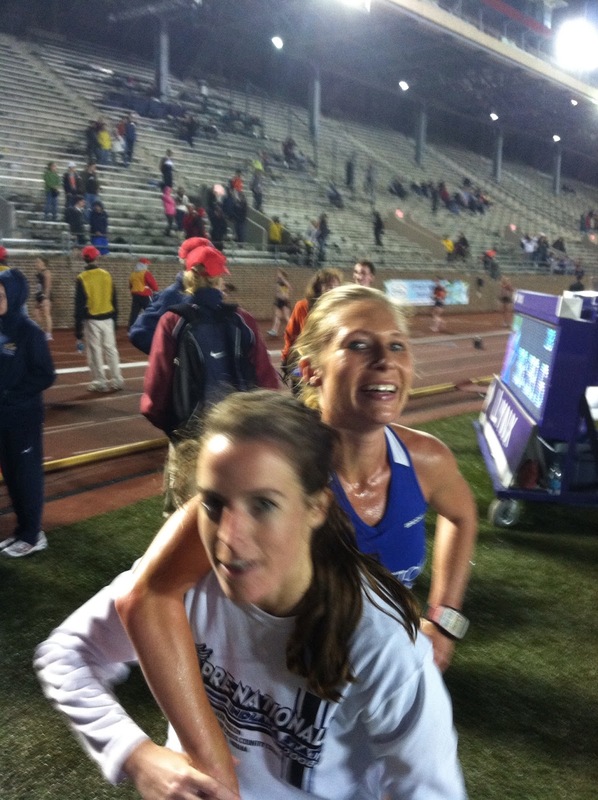 Dix and Murphy dropped out at Wellesley...and might save the entire 26.2 for another day. Rawson, Koonce and Jarrin also out at 13.1? Breezy dropped out around mile 10. Bain has slowed in the hills, but still running strong especially considering the heat. He is running 2:40 pace. Lavar has...picked up the pace. Reaves, at 30k, is on 2:30 pace. The Science of the Sport blog has a good analysis and perspective on the conditions. Maura Carroll ran 17:27 for third place and a significant 21-second PR at the Johns Hopkins/Loyola Invitational Saturday morning. Drea Garvue continued to show her range with a fifth place finish in 17:34--complete with a 16-second PR, and Beth Young ran 17:52 for sixth and a 37-second PR in her first track race. Liz Laseter ran 11:31.89 for third in the steeplechase. After one event, the Georgetown Running Company trails Johns Hopkins 19-14. Projections indicate that after all events, the GRC will score 294 points... The race remains too close to call. We had some excellent performances at the Colonial Relays this weekend. Congratulations to Big City for once again lowering his club record in the 800. Chuck is getting better every week, and there’s every reason to think that trend will continue. Ryan Hanson narrowly missed breaking his club record in the 3000. Ryan ran aggressively throughout, and led for most of the second half of the race before being out kicked in the final 200 by an athlete whose PR is much, much faster than Ryan's. When Ryan gets into races at Penn and Princeton where he doesn’t have to do the work, he’s going to run some huge PRs. Ryan Witters also lead for much of his heat in the 1500, and while he could not hold on in the final stages, he will be ready to roll later in the month at 1500 and 5k. Well done, men! We’ve got a huge weekend coming up, with various track and road races on Saturday, and Boston on Monday. We’re going to get a jump on the big weekend by practicing on TUESDAY at BCC. For the men, there will be at least two options. The track/road group will do 400s. Sam is going to do 8 x 4, 2 @ 68, 2 @ 66, 2 @ 64, 2 @ 62, all with a 400 recovery. Hanson and Witty, and anyone else who fells ambitious, are going to do an extra set of 2 at the end in 60. On the other end of the spectrum, the Boston group will do a 3 mile tempo at goal pace. If you aren’t running Boston and don’t want to run hard 400s, let me know, and we’ll come up with a third option. Also, if anyone can’t make it Tuesday, I’m planning to be at American on Wednesday, so let me know if you want to come out then. What a great weekend for GRC! The list of excellent performances is long, but there’s no question that the coveted GRC Athlete of the Week award goes to Drea for her stunning PR of 58:50 at Cherry Blossom. That was truly a breakout race, and it’s surely the GRC performance of the year so far. Drea had never broken 60 until Sunday, and she skipped the 59s and jumped directly into the 58s. It sure looked to me like Drea had more gas in the tank at the finish, and we’re going to see more fantastic running from her this spring, and beyond! Sticking with the women, Beth also had a huge breakthrough at Cherry Blossom, running a 90 second PR of 60:47. Now that Beth is fully healthy for the first time in a year, she is starting to tap her huge reservoir of talent, and there are more big PRs coming this spring. Susan also ran a very nice PR of 61:24, and is making a successful transition to the longer distances. While LTO’s 61:15 was not a PR, it was the grittiest performance of the day, as LTO was dealing with her very severe cherry blossom allergy which affected her not only on race day, but also in the weeks leading up to the race. LTO is never one to make excuses or back down, and she fought hard all the way to the finish, despite extreme discomfort in her chest. The final excellent women’s performance of the weekend came from Maura at Raleigh Relays. Maura ran her track 5k debut, and as luck would have it, she ended up in a heat that was too fast for her, so much so that she went through the mile in 5:29, and was in dead last. It got worse before it got better, as with 6 laps to go, Maura was 100 meters behind the field. But Maura fought through that very tough strecth, passed two girls in the final 800, and ran 17:50, which would be solid under any circumstances, but which was outstanding in these circumstances. In a more conducive competitive environment, Maura will run much, much faster this spring. We had numerous excellent performance by the men as well. On the track, Sam ran 14:26 in Raleigh, the second fastest 5k of his career. Sam went through 2 miles in 9:05 and was on pace for a big PR, but he started his cooldown a couple of laps too early. The next time Sam goes out on PR pace, he’s going to hold on, and shatter his club record. We also had an excellent performance at 5k on the track from Ryan Hanson, who opened is season with a very comfortable 14:46 solo effort in St. Louis. Ryan is getting off to a late start this year, and he will be ready to peak when the big races roll around in April and May. In addition, Sam Boimov ran a very solid 15:28 at Maryland, his best race, by far, in GRC singlet. In the shorter distances at Maryland, we had a new club record of 1:55.6 in the 800 from Big City, and a strong 800-1500 double from Witty, as he went 3:58.9 and 1:57.2. 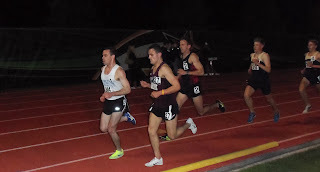 Witty is getting stronger every week, and he will do some damage later this spring at 800, 1500, and 5k. 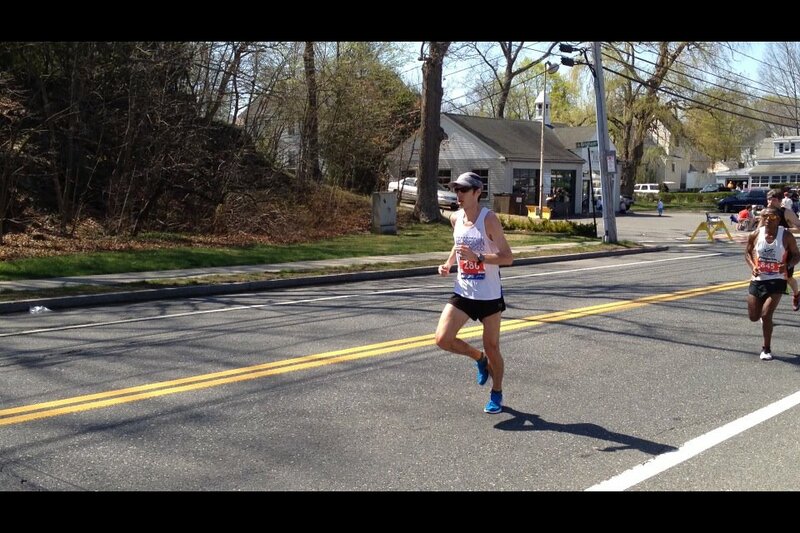 And of course we had several excellent runs from the men at Cherry Blossom, led by Dave Burnham’s PR of 51:23. 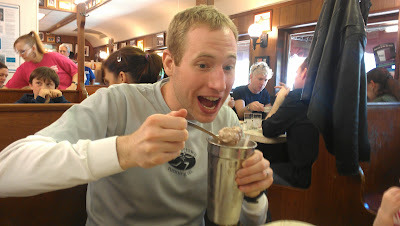 Dave has PR’ed at 10 miles and the half-marathon in the last 3 weeks, and he’s making his long awaited return to the track at Penn Relays. While Dave does not expect to threaten his 10k PR of 29:41, he is fitter than he has been in several years, and he’s on his way to regaining the form that made him a star at Dartmouth. While Karl did not approach his 10 mile PR, his 51:25 was an excellent performance because his training this year has been severely limited by illness. Karl is now on the path back to race fitness, and will be ready to roll later this spring. Jake also did not PR, but his 52:32 proves conclusively that his comeback is right on schedule. No one wants to succeed more than Jake, and for the first time in almost two years, he has every reason to believe that he can run PRs in the near future. Other notable performances at Cherry Blossom came from Dave Wertz, who ran a huge PR of 53:21, and Luke, who made a successful 10 mile debut in 53:15. Finally, we had some very solid runs from our Boston group. Dickson led the way in 53:05, showing he is ready for a big PR in 2 weeks. Also looking ready to PR in Boston are Chris, Murph, and Breezy, who ran 54:54, 56:15, and 58:03, respectively. Congratulations to all on a job well done! Finally, in the all-important intra-squad Cherry Blossom team competition, the clear victor was Team Keith, with an outstanding total time of 6:24:01, and an average time of 54:51, as opposed to Team de Heer, with an utterly pathetic total time of 6:30:29, and a 55:41 average. Those of you who ran on Team Keith are clearly wonderful human beings. Those of you on Team de Heer, for shame. How do you live with yourselves? Team Keith members can claim their free drinks at the season-ending party on May 26. Team de Heer members have until then to slink out of town, hanging their heads in disgrace. For the mens workout this week, there are several options. 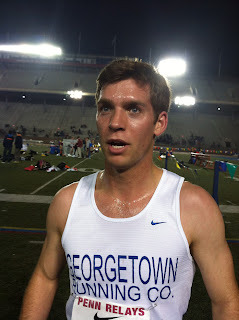 Hanson and Witty, who are competing at Colonial Relays on Friday, will be working out with me on Tuesday in Virginia. If anyone wants to get in on that, let me know. On Wednesday, there will be several possibilities for the men. Sam is going to do 8 x 800 with a 3:00 rest, 2 @ 2;16, 2 @ 2:14, 2 @ 2:12, 2 @ 2:10. The track guys who are not racing this weekend can work in with Sam to help him get through this challenging workout, and anyone else who wants in is welcome. I’d like the Boston group to do 3 x mile, easy, medium, hard. 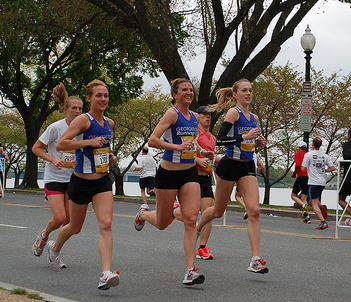 Exactly what easy, medium, and hard means will vary upon your goal pace and your level of fatigue from yesterday. If you’re not running Boston and you don’t want to work in with Sam on those fast 800s, give me a holler and we’ll figure out what is appropriate for you. I finally got all my photos posted from the race as Jake noted below. There are two albums. I tagged a lot of people but not quite everyone. Please tag, like and share! Also, I uploaded high res images which anyone can download. Click options, then download. I have some videos also which I'll post as soon as I can edit them. If Towpath or anyone else with video editing skillz would like to take a shot at them, just let me know.